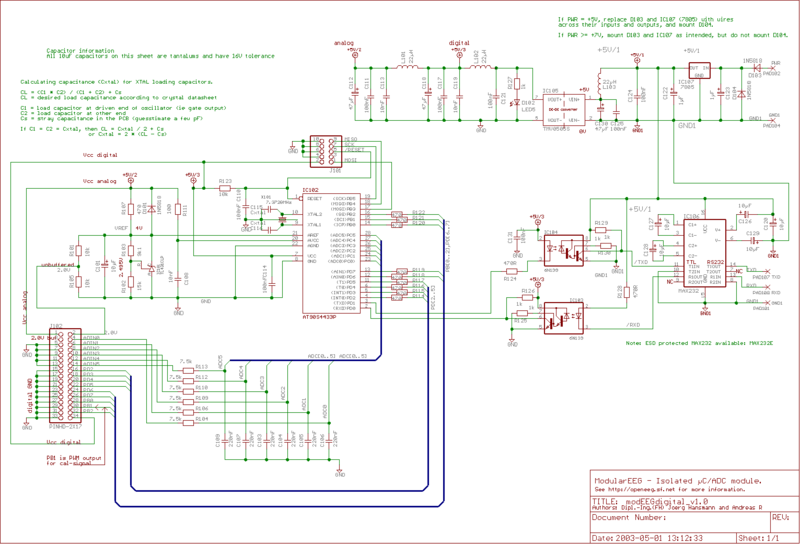 Amplifier schematic [55kb] (aka analogue board; contains two amplifiers) and digital board schematic [48kb] as images. 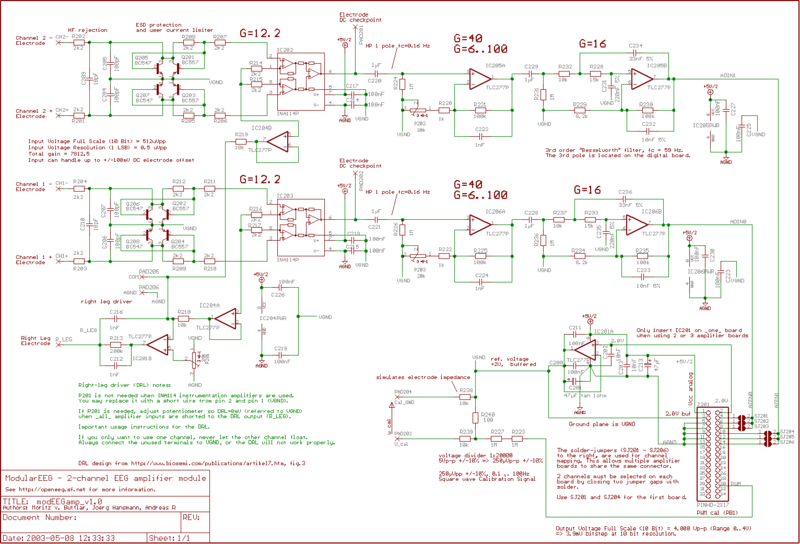 I found the amplifier designs extremely good as a learning material. Medical instruments after development should undergo a approval process and have high product safety requirements. So above circuits to be used for study only, not for practical applications. When integrating, Medical professionals have to beta test it and after approval used for further tests. A simulated electrical noise signal source for experimentation is good enough for Degree Projects.